BC Building Science is proud to have been one of the sponsors of Centra Construction Group‘s annual charity golf tournament again this year. BCBS representatives enjoyed a beautiful sunny day out at the Redwoods golf course in Langley last Thursday – some playing golf and others handing out popsicles to help golfers stay cool! 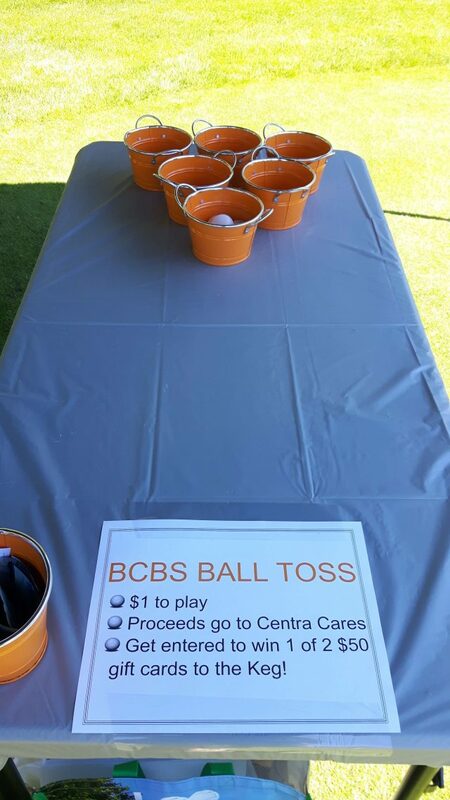 The BCBS Ball Toss game at the 16th hole was also a hit, and raised a further $200. The tournament is held on behalf of the Centra Cares Foundation, whose mission is “to help build strong communities locally and globally by serving those less fortunate than ourselves. Donating time, money, and resources to help those in need.” Funds raised this year went to Faith & Love Children’s Ministry and Make-A-Wish British Columbia & Yukon Canada. Check out Centra Cares to find out more about their various fundraising initiatives.